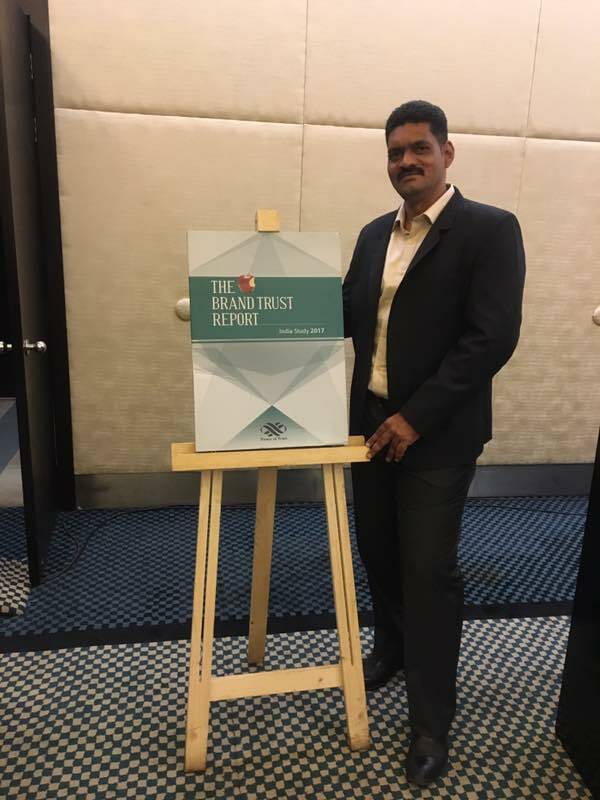 The seventh in its series, The Brand Trust Report 2017, India’s most comprehensive study on Brand Trust, has been released by TRA Research. Bangalore-based brands have made a strong showing with city brands leading 6 of the 40 Super Categories in the report. These leaders are Kingfisher (Alcoholic Beverages), Fastrack (Branded Fashion), Himalaya (Healthcare), Kurl-On (Home Furnishings), Art of Living (NGO) and Apple (Technology). 23 city-based brands made it to the top 1000 most trusted brands in India. Other brands from the city that made significant strides are Dell, which maintained its position at rank 8, and Hewlett Packard, ranking 11 (climbing 15 ranks from 2016). Also maintaining its 2016 rank is Sonata at rank 31; Britannia ranks 33 with a 29-rank jump from 2016. Titan, from the house of TATA, ranks 36 (falling 6 ranks from 2016). Amazon climbed 18 ranks from 2016 and Wipro climbed 21 ranks from 2016, both rising to secure ranks 65 and 66 respectively. However, Acer (falling 7 ranks from 2016) and Lee (falling 16 ranks from 2016) have witnessed a drop in their trust ranks compared to 2016. The Bangalore-based Online Taxi Aggregator Ola makes an impressive 319-rank jump to secure rank 97 among India's Most Trusted Brands. Fastrack is ranked 104, with a fall of 16 ranks from 2016. Flipkart, ranked 121; IBM, ranked 140; and Tanishq, ranked 171, rose in their All India rankings this year. A total of 23 Bangalore-based brands have appeared in the top 1000 Most Trusted listings. Samsung has been ranked as India’s Most Trusted Brand of 2017 (climbing 17 ranks from 2016). Sony and LG both retain their 2016 rankings and are at second and third ranks respectively. Apple ranks as India's 4th Most Trusted Brand and, rising 12 ranks from 2016, makes it to the top 5 for the first time. Holding on to its rank of last year, brand Tata’s trust defies the temporary imbroglio it faced to occupy 5th rank. The 6th position is held by the automobile giant Honda; Maruti Suzuki follows, taking the 7th spot. Dell is at 8th rank and Lenovo, climbing 18 ranks from 2016, features in the 9th position in the list. Bajaj, a brand which has been in the top 10 in five out of the seven reports, comes in at the 10th rank in India's Most Trusted Brands list. The other brands making an appearance from the city are Karbonn at rank 350, BPL at rank 360, Xolo at rank 376, Wrangler at 419, and Cafe Coffee Day at 706. Thirteen Chennai-based brands have featured in this year’s listings, with TVS (All India rank 34), MRF (All India rank 139), and Nissan (All India rank 161) leading the pack. 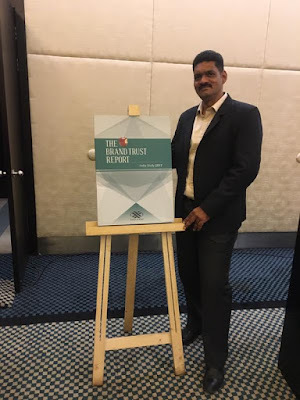 The Brand Trust Report 2017, the seventh in its series, is the result of a comprehensive primary research conducted on the proprietary 61-Attribute Trust Matrix of TRA. This year’s study involved 15,000 hours of fieldwork, covering 2,505 consumer-influencers across 16 cities in India; it generated 5 million datapoints and 11,000 unique brands, from which the top 1000 brands have been listed in this year’s report. The 200-page, hardbound report is available for Rs. 14,000.